Dog ear inflammation and infections plague thousands of dogs on a yearly basis. So much so, it's won the dubious honor from the Veterinary Insurance companies as being in the top ten reasons for veterinary visits. There are precautions we can take however to minimize the on set of dog ear inflammation and/or infections. 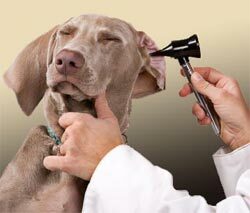 There are two major under lying reasons why dogs have ear problems, recurrent inflammation and infection. Most of the time chronic inflammation leads to infection but on occasion, some dogs end up with just plain inflammation. Inflammation is associated with red , irritated ears while infection is commonly identified by red irritation accompanied by discharge and a foul odor. 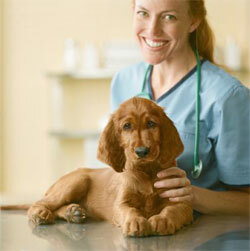 Allergies create havoc all over your entire pet including dog ear inflammation, eyes, nose, skin, and pad inflammation. If your dog has red irritated and itchy inner ears, it may be due to allergies. This could be from food and/or environmental. Dogs rubbing there head across the carpet or couch to relieve itself of itchiness is a sign. If you look inside the dogs ear and there red and raw, without allot discharge, it may be an allergic response. Further investigation may be necessary to identify the cause of the allergy producing the dogs ear inflammation. Moisture inside the ear or "swimmers ear". Moisture inside the ear can cause allot of problems for dogs. By nature, dogs have very warm body temperatures, 101-103 degrees. Add moist to the mix inside of a dogs ear on a hot day and it's ideal breeding grounds for bacteria if the moisture problems are not addressed. Have an awesome puppy? Great! Make a page for Fido. 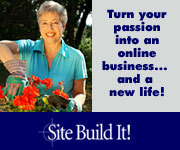 Share your pics and a brief story with us and others!. It's easy @ the puppy pics page. Join the virtual pack. Obvious reasons for swimmers ear is of course swimming, but other reasons such as bathing maybe over looked. It's a good idea to swab out or apply a drying agent to your dogs ears after it's bath or even after returning from a groomer, although most groomers are very good in preventing dog ear inflammation. Always bath your dog starting "behind the ears" and down toward the tail to avoid water from entering the ear. Moisture may also be in the form of rain, snow, or even high humidity. If the humidity is high combined with a dogs natural high body temperature, this may foster the proper environment for bacterial growth and inflammation even if there has been no rain at all. All dogs have ear wax as we do, but some have more than others. Dog breeds raised for there swimming abilities such as Retrievers and Labs are genetically designed to have a natural defense from swimmer's ear in the form of extra ear wax. Sporting dogs should have there ears dried after such activities to minimize the chances of inflammation that lead to infections. Some dogs need cleaning weekly, others monthly or even yearly, depending on the amount of wax discharge. Knowing how much wax your dog produces dictates the amount you'll have to clean. Ear mites, ticks and fleas are parasites that can cause ear inflammation and/or infection. The incidence of this is much lower than bacterial but never the less pose there own problems. 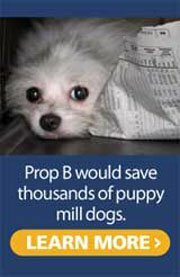 Being parasitic, ear mites and there ability to spread and infect other pets is a real problem. If your vet diagnoses one pet in the house with ear-mites, chances are they all have been infected. The treatment may last several days, but more importantly persist through the treatment to eliminate the ear-mite in all of it's life stages. Various forms of vegetation, bugs, burrs, all can cause inflammation inside your dogs ears and are preventable with regular cleaning. Ear infections are identified by red irritated ears but unlike dog ear inflammation, with discharge accompanied by a strong odor. Infections can be caused by chronic inflammation, or the presence of an infectious organism living inside the ear canal. Ear infections must be handled by your vet in order to prescribe the appropriate anti-biotic. Your veterinary lab may also take a culture to determine the exact type of bacterium. There are two main sources of infectious organisms, fungal and bacterial. Primarily yeast. It grows when the opportunity arises on a host with decreased immune defense and the proper environment (warm and moist), which fosters dog ear inflammation or infections. When severe yeast infection occurs in your dog you have a problem. It's important to note that if you have recurring yeast infections in your dog even after you have performed all the precautionary measures for inflammation,(keeping his ears clean and dry) there may be under-lying medical issues such as hypothyroidism or cushing's diesease. See a veterinary clinic. pathogenic bacteria : which is means the dog caught it from a source like a lake or pond and infected the ear. non-pathogenic bacteria: natural bacteria that starts to take over the area. All dogs have a layer of "staff" as we do which are natural organisms that help protect from pathogenic bacterial infections. When the delicate balance of healthy staff is askew, problems arise. The only way to know what type of infection your dogs dealing with is by getting your veterinary lab to take an ear culture. This identifies what type of bacteria or fungus is growing, thus prescribing a treatment. Follow it through. TO THE END! Even though the ears may seem to clear-up after a couple days, stick with it till for the duration of the prescription to be sure the infectious bacteria are no longer a problem. Stay away from the use alcohol based solutions .....they causes a painful burning if your pet is suffering from dog ear inflammation, or is irritated due to infection. Don't use Q-tips inside the ear canal. Don't instill the solution directly into the ear canal unless your 100% sure the ear drum is intact, and if unsure visit a veterinary clinic. The best way to clean your dogs ears is to use cotton balls, since they can't be lodged inside the ear too far. #1 -apply the solution to the cotton, and use a gentle swirling motion with your finger inside of your dogs ear. #2 -look at the ball for debris, and continue to swab until the ball comes out clean and is debris free. #3 -use a new cotton ball to dry out the ears from any excessive solution. Do this again the next day, and continue this to find out the regularity of cleaning for your particular dog as all dogs are different and have varying amounts of debris. Remember clean & dry are the words to a avoid dog ear problems associated with dog ear inflammation and infection.